Dan is the former Deputy Editor of TechRadar and now edits our sister site Lifehacker UK as well as still contributing to TechRadar from time to time. You can contact him here. 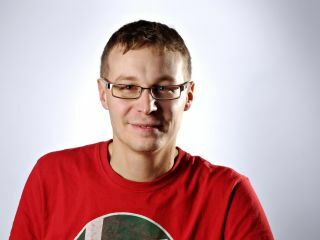 Dan has been reviewing and reporting on all things computing, mobile and internet for the last decade and was part of the team that launched TechRadar after several years working on technology print titles. While he was at TechRadar the team was highly commended in the Consumer Website category of the Association of Online Publisher Awards 2011. Dan is a regular at tech shows such as CES in Las Vegas, IFA in Berlin and Mobile World Congress in Barcelona as well as at other launches and events. He is completely platform agnostic and has experience with Windows (2000 through to Windows 8), OS X, Android, iOS, Windows Phone plus a huge number of suites, apps, CMSes and proprietary systems. Dan has also been interviewed and quoted in a wide variety places including The Sun, BBC World Service, BBC News Online, BBC Radio 5Live, BBC Radio 4, Sky News Radio and BBC Local Radio. You can see Dan's articles on TechRadar and on Lifehacker UK.